Inventory Management Leaders: Apple Inc.
What’s the best way to lessen your risk of shortage? Unlike what you may think, increasing the safety stock is not always the best choice. This could result in budget spending on what is in stock instead of what you need. As a result, you could still face shortages. What should you do instead? You can low uncertainty in forecasting and use an inventory management system. Another effective strategy is to use performance metrics. Using inventory management can benefit all parts of your business. When used properly, these strategies have many benefits. To name a few, it can increase sales and inventory turnover, decrease lead times and stock-outs. You can improve customer satisfaction, and much more. Here’s the top ten ways inventory management can help you. What exactly is obsolete inventory? This refers to products at the end of their life cycle and stock can no longer be sold. This can be an area of great loss for your business. Finding the cause can be helpful in avoiding future losses. Some of these causes may include ineffective forecasting, or products with poor design quality. If you’re struggling with obsolete inventory, it could also be due to an inadequate system. The Internet of Things (IoT) is the network that allows objects to communicate and share data with one another. This constantly growing network has the potential to greatly impact our lives. The IoT also has the ability to impact inventory management through improving RFID tags and GPS tracking. The ability to view, track, and monitor inventory will improve enormously with IoT. As a leader in supply chain management, Apple has shown how inventory management strategies are key in lowering costs, waste, and obsolete stock. They reduced their number of suppliers and outsourced production. Apple was able to lean down and reduce their days to inventory to 3.2 days. So, what’s next for Apple? They want all of their facilities running off of renewable energy, and will begin implementing renewable energy sources into their supply chain. Interested in learning more about Inventory Management? 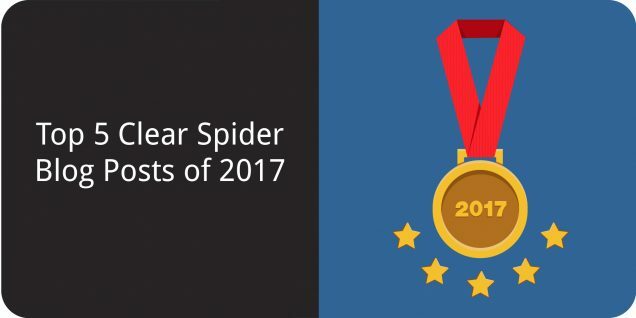 Click here to see how Clear Spider can help you.